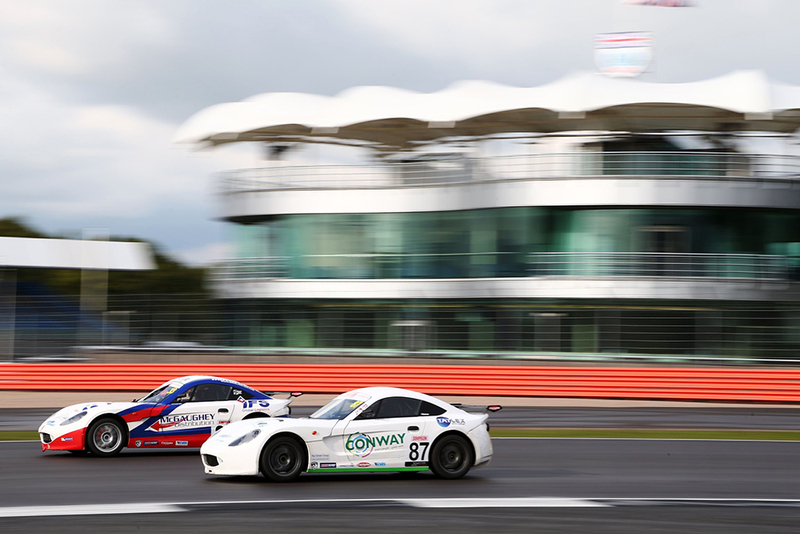 Silverstone was the location for rounds 21,22,23 of the Ginetta Junior Championship at Snetterton and it was here that Kiern Jewiss built up an unassailable lead in the Rookie Championship to become the Rookie Champion, 2017. Congratulations to Kiern and all of the Douglas Motorsport team on this success. 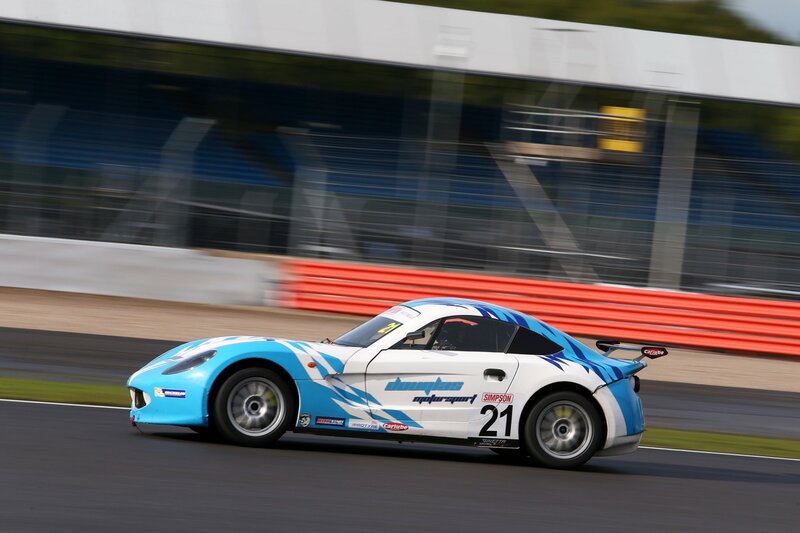 It’s the second year in succession that the Rookie Champion has come from the Douglas Motorsport team. In 2016 Dan Harper claimed the title and in 2015 Stuart Midleton became the Rookie vice-champion before going on to win the 2015 Winter Series. It wasn’t a perfect weekend for Kiern by any means, after taking the lead in race 1 the rain started to come down and contact from another car caused damage to Kiern’s Ginetta which meant he started to slip down through the field, eventually finishing in 9th position, but still enough to earn a Rookie podium finish. Race 2 and Race 3 saw Kiern finish in 5th and 4th place respectively, picking up two Rookie wins, enough to give him the overall Rookie title. Tom Canning continued his impressive performances by claiming another rookie podium in race 2. Race 1 saw Tom finish in 10th position, missing a rookie podium by 1 place. Another 10th position in race 2 saw him take 3rd place on the Rookie podium, with team-mate Jewiss on the top step. These two 10th place finishes meant Douglas Motorsport had all three cars in the top 10 in the first two races. 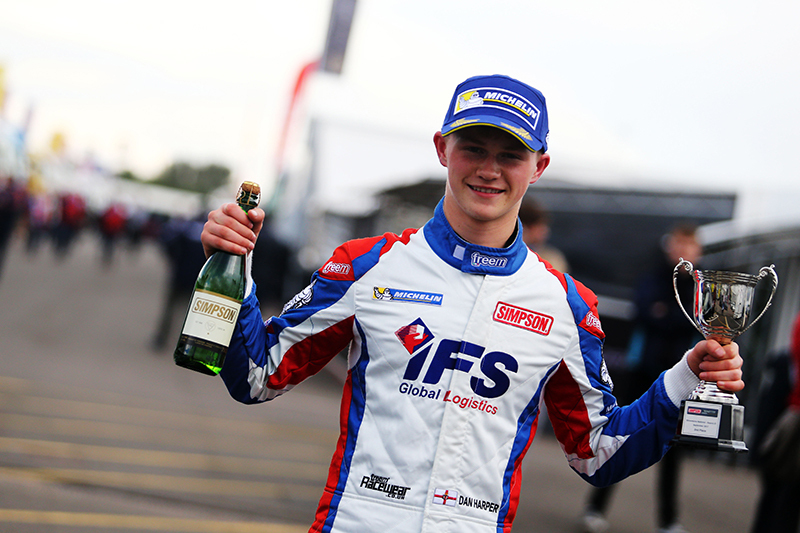 Dan Harper began the weekend with a podium finish – 2nd place in race 1. Race 2 saw Dan drop back to 14th position after some contact at the front of the field. But, he was able to brilliantly fight his way back to eventually finish in 6th place, and gain some valuable points as his title rivals finished P1 and P2. In race 3 Dan was maintaining 5th place for most of the race until he made some fantastic overtaking moves towards the end of the race, eventually finishing P3 and achieving another podium. Dan remains in 3rd place in the overall championship. He has a mathematical chance of winning the overall championship, but 2nd place is a possibility, as Dan is only 13 points behind in 3rd place. The final rounds of the championship take place at Brands Hatch on August 30th and September 1st.